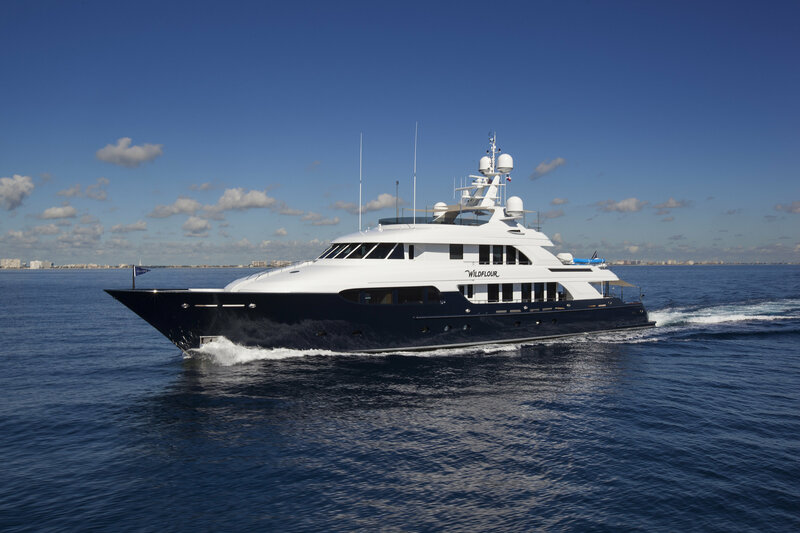 Luxury yacht PALADIN (Ex WILDFLOUR, Seven Js) was built by Delta Marine in 2008, with exterior Naval architecture by Jay Minor and interior design by Tom Stringer. 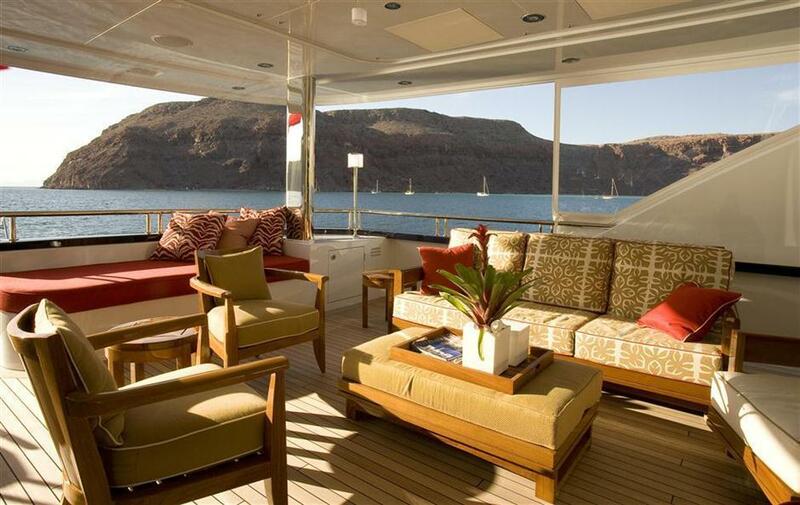 She offers a deluxe setting whether indoors or out. 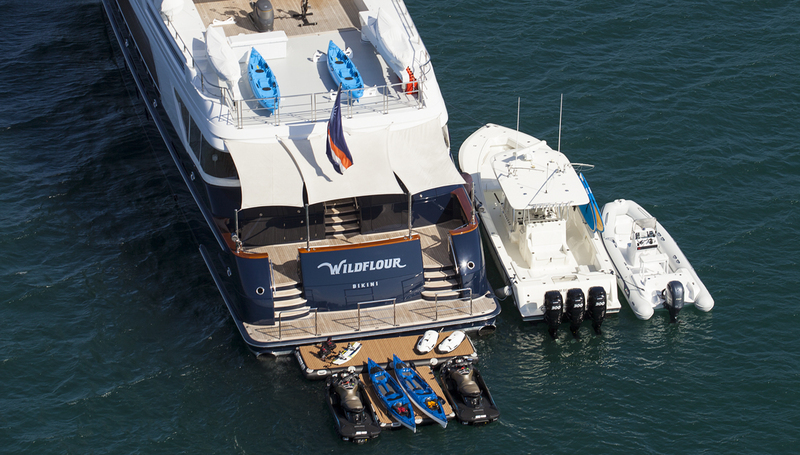 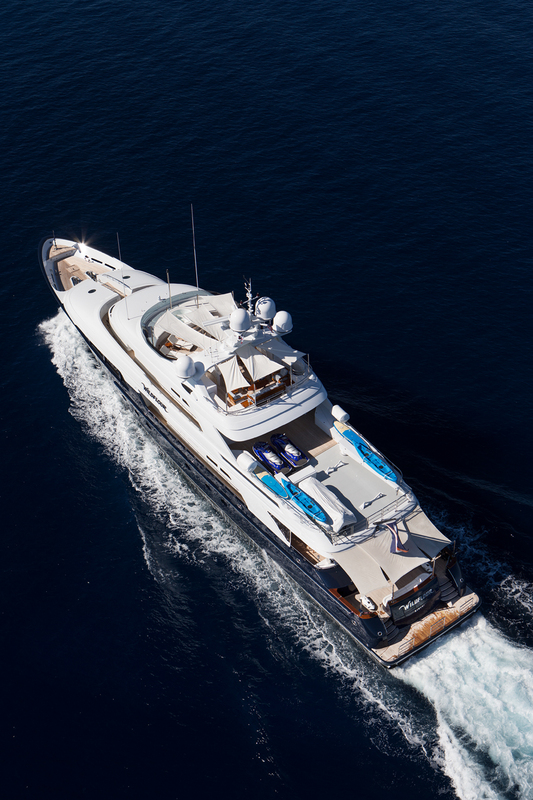 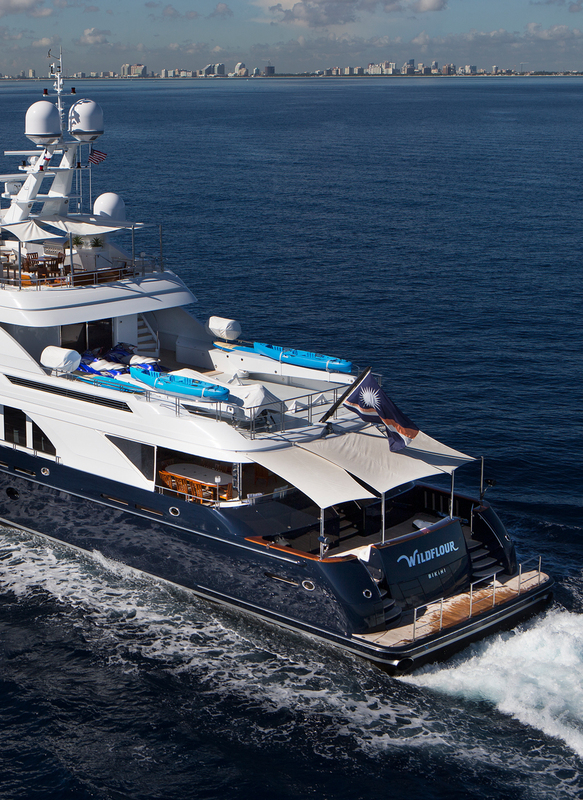 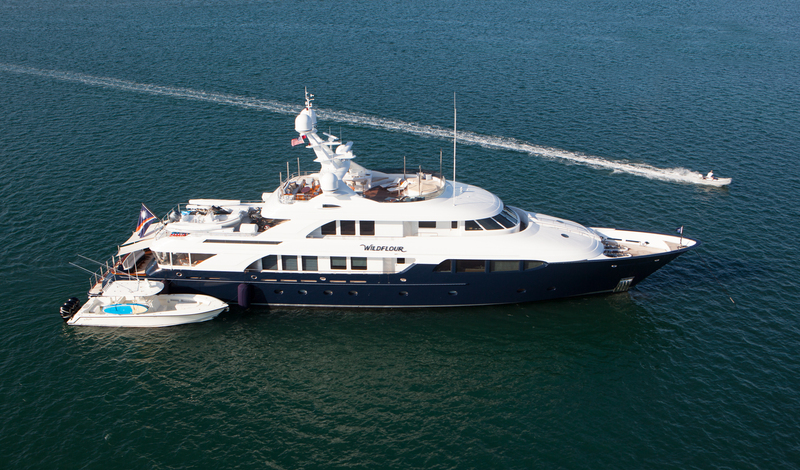 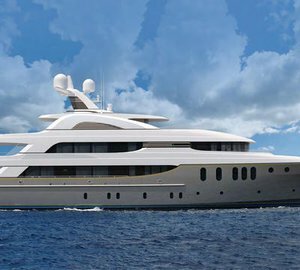 Measuring 47.5m (156ft) motor yacht WILDFLOUR boasts a deep blue composite GRP hull and white superstructure. 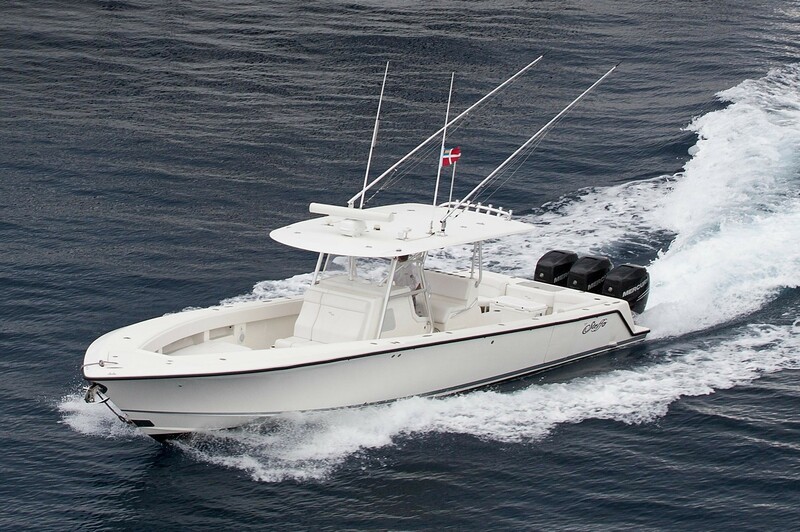 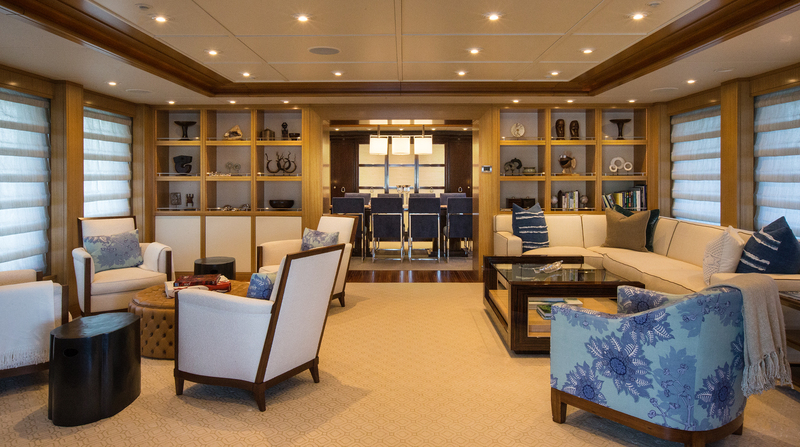 PALADIN has ample decks on three spacious levels. 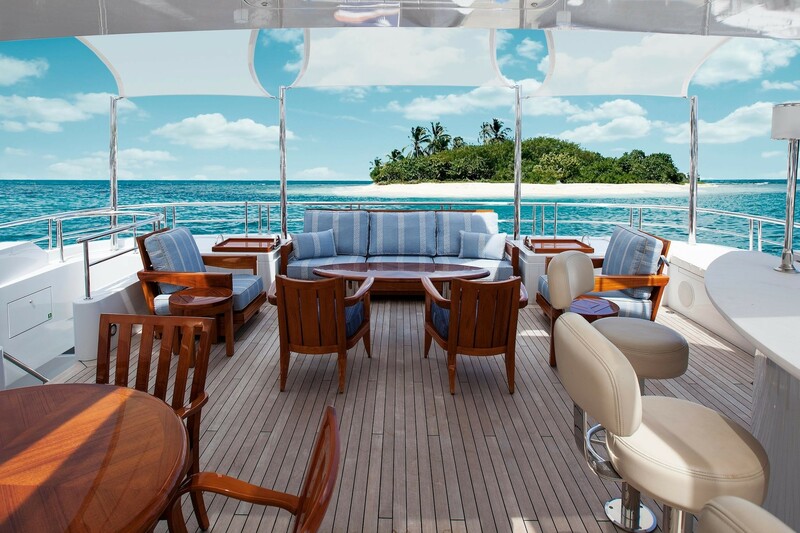 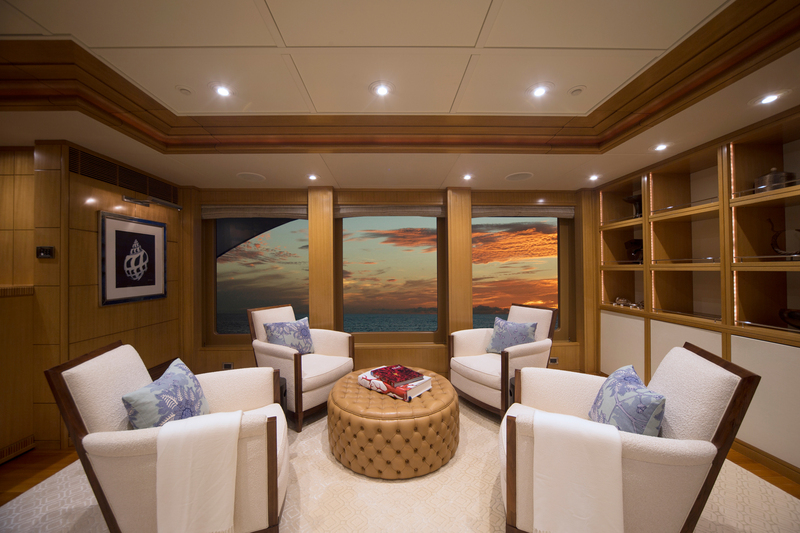 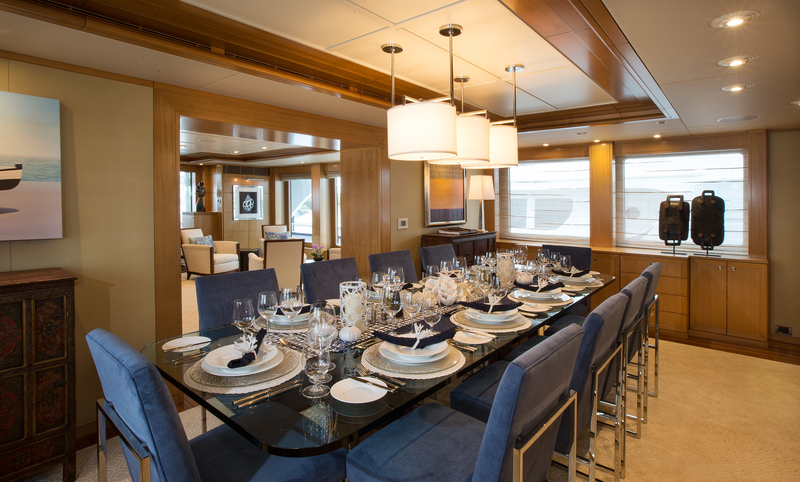 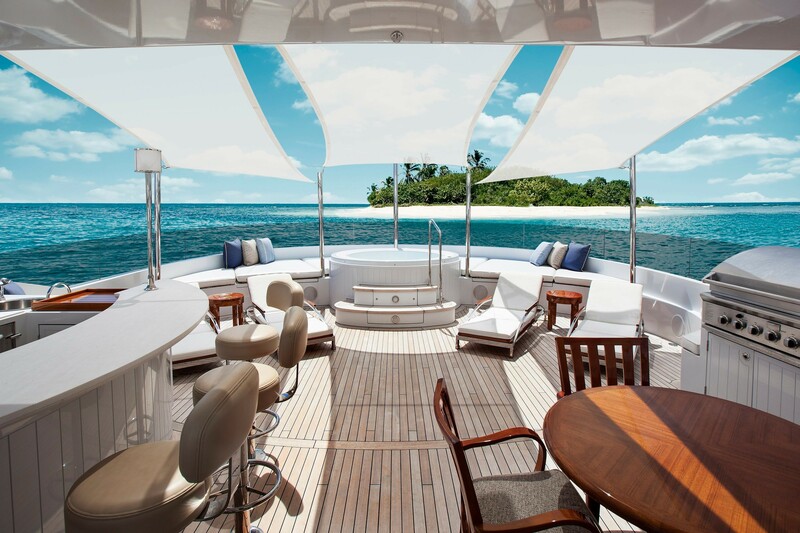 The main aft deck has a unique design, perfect for hosting alfresco entertainment, featuring two aft decks on split levels with an alfresco dining option, plenty of lounge seating and optional partial shade. 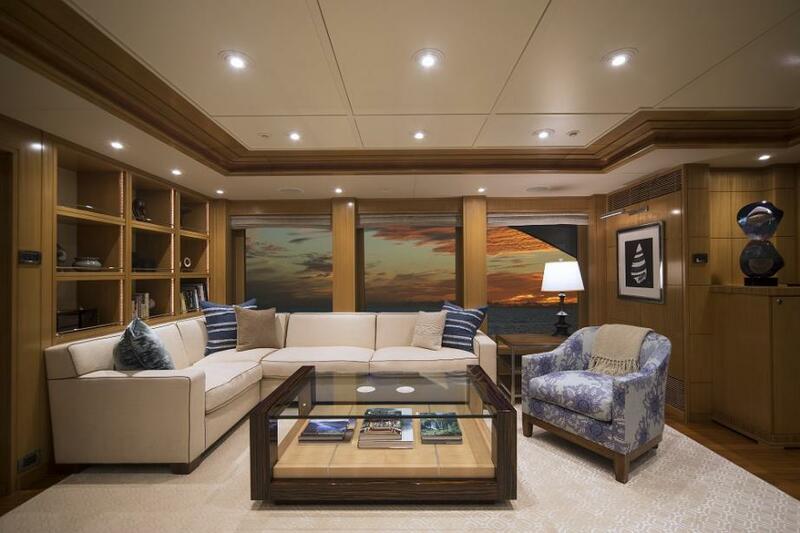 Large sliding glass doors lead into the main salon, where guests can enjoy optimum comfort, in a relaxing yet refined atmosphere of subtle neutral tones. 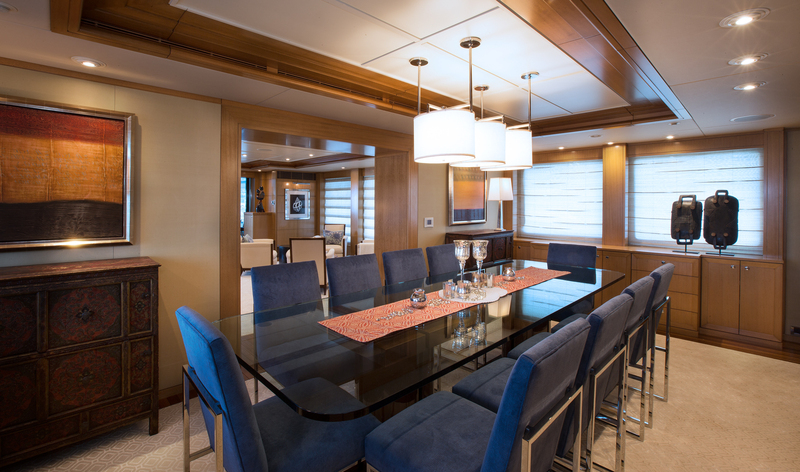 Forward to the salon, the formal dining area boasts a fabulous marble table in a deluxe setting. 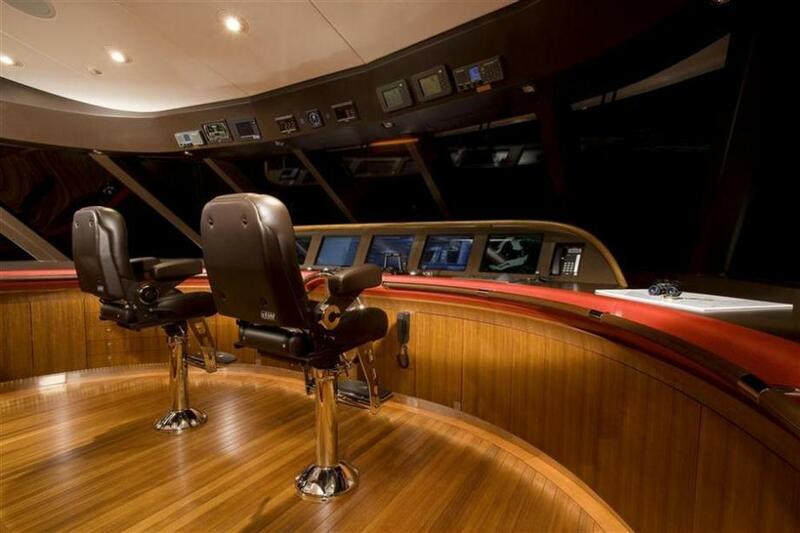 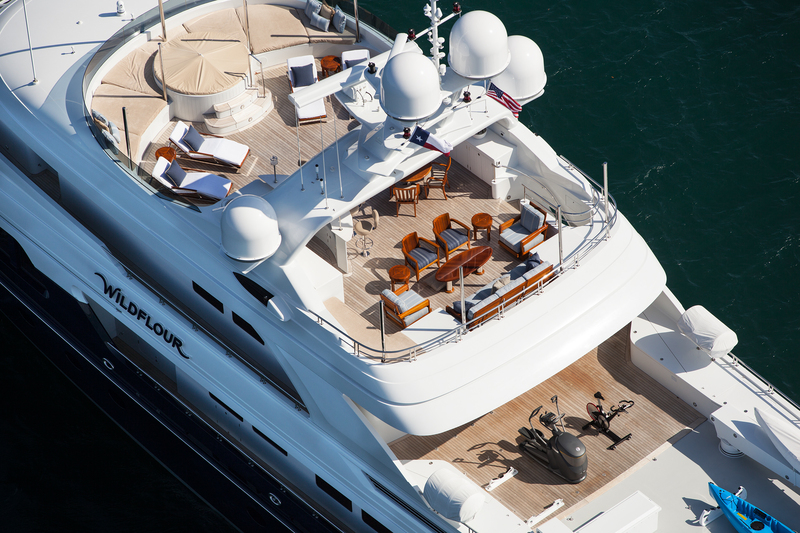 Above the main deck, the bridge deck wraps around the yacht giving access to the foredeck. 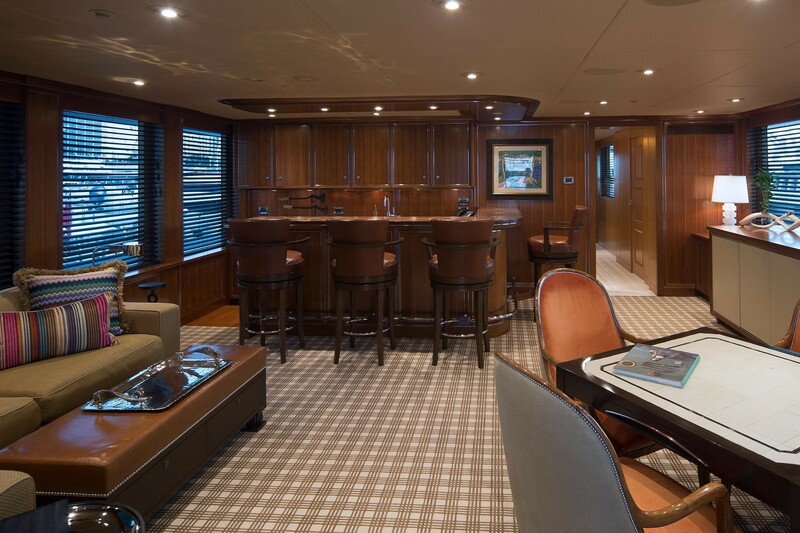 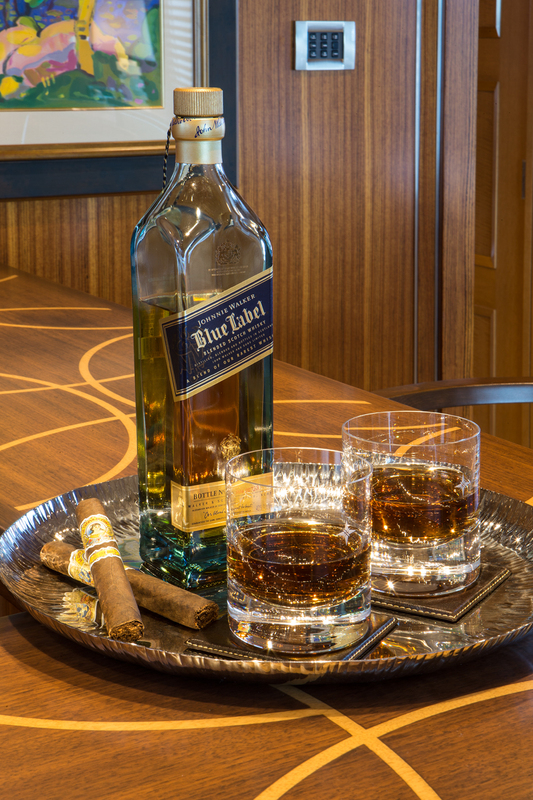 A generous sky lounge features ample plush seating and a complete wet bar. 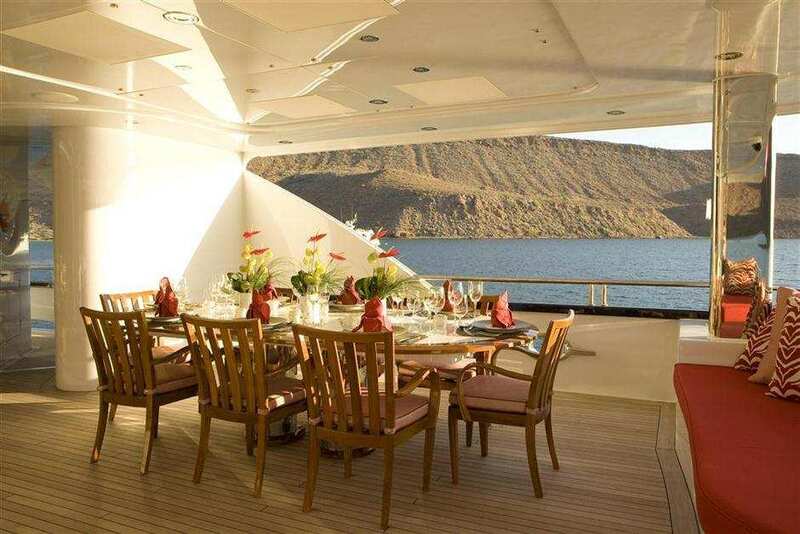 There is a massive sundeck with many entertainment amenities. 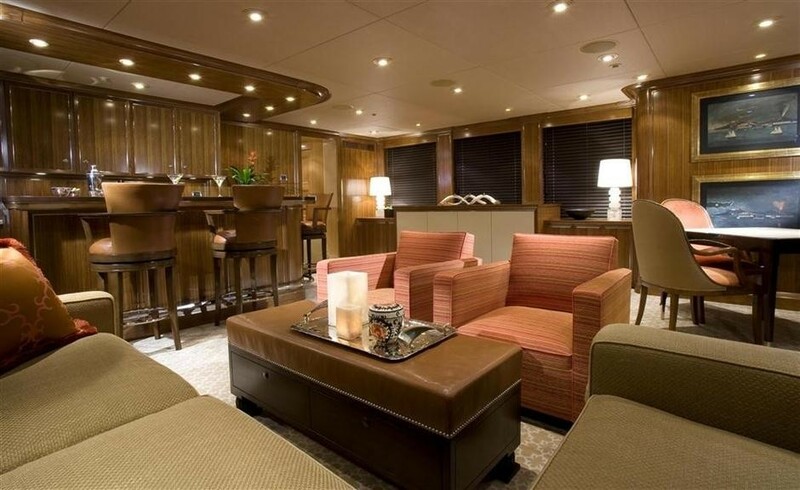 Guests can sit back and relax on the chaise lounges, enjoy an alfresco meal right from the custom built BBQ and prep station, sip a cool cocktail at the full wet bar, or soak in the luxurious hot tub. 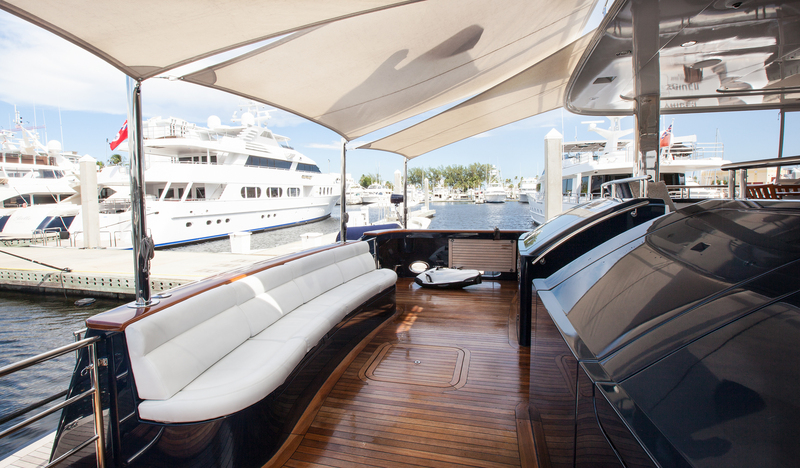 Optional shade is available from extending Bimini covers. 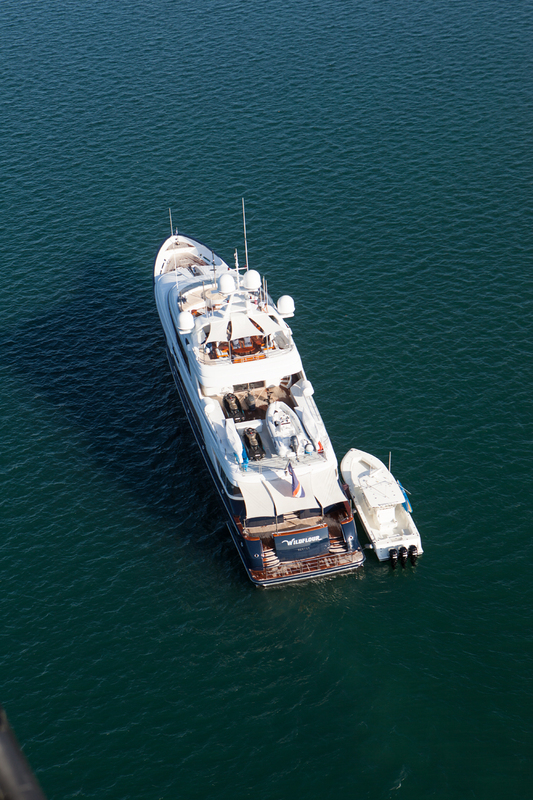 This motor yacht has a beam of 8.6m (28.4ft) and a draft of 2.5m (8.4ft); she is powered by 2 CAT 1300HP engines, capable of cruising at 14 knots. 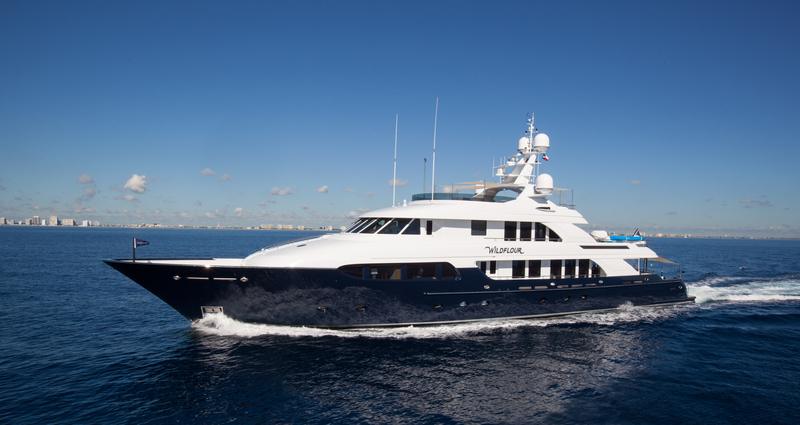 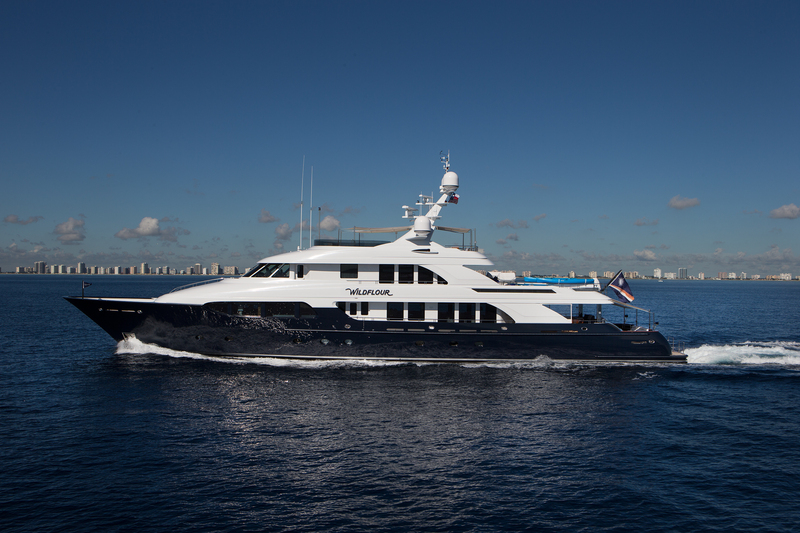 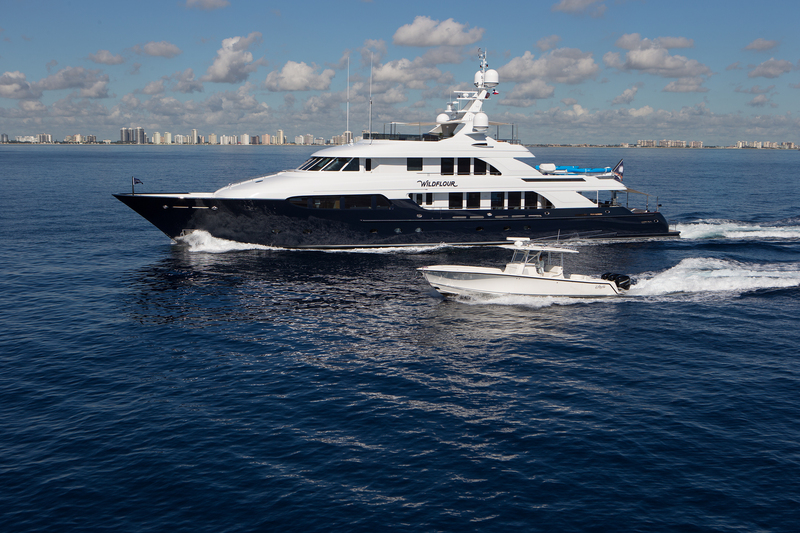 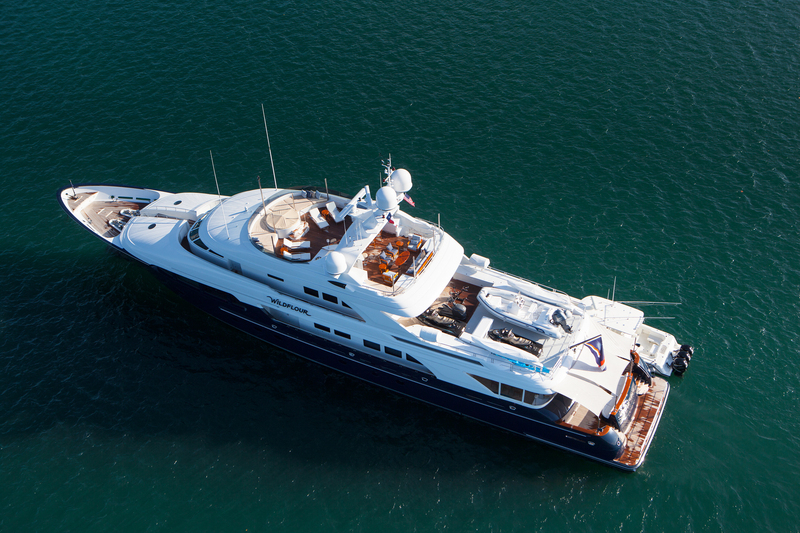 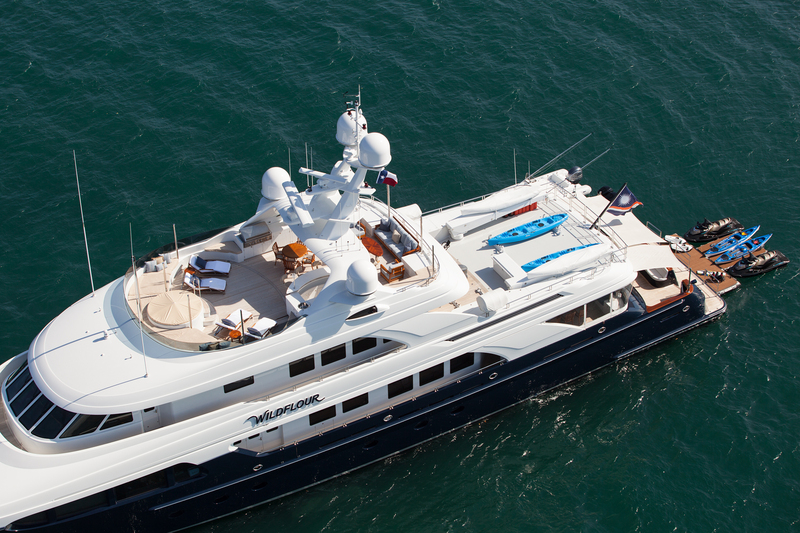 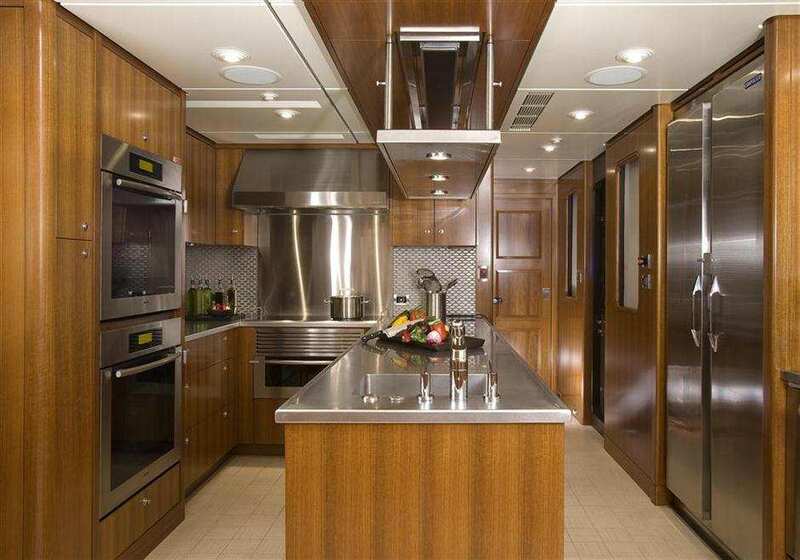 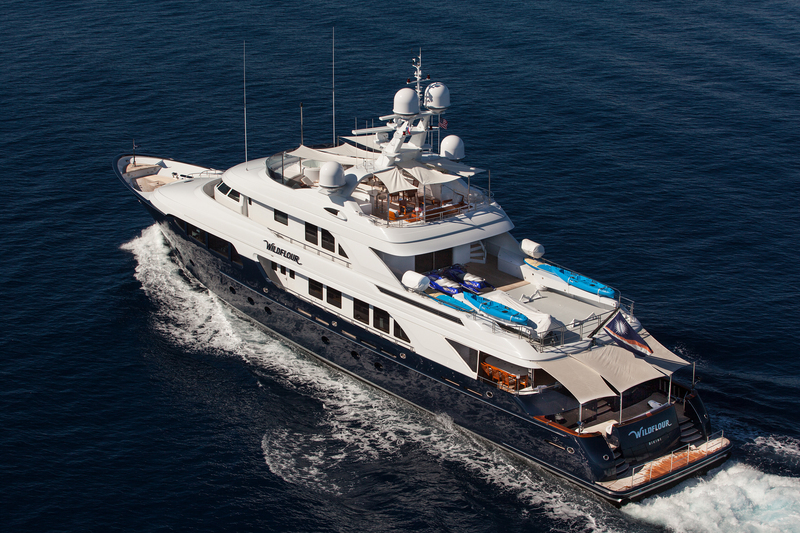 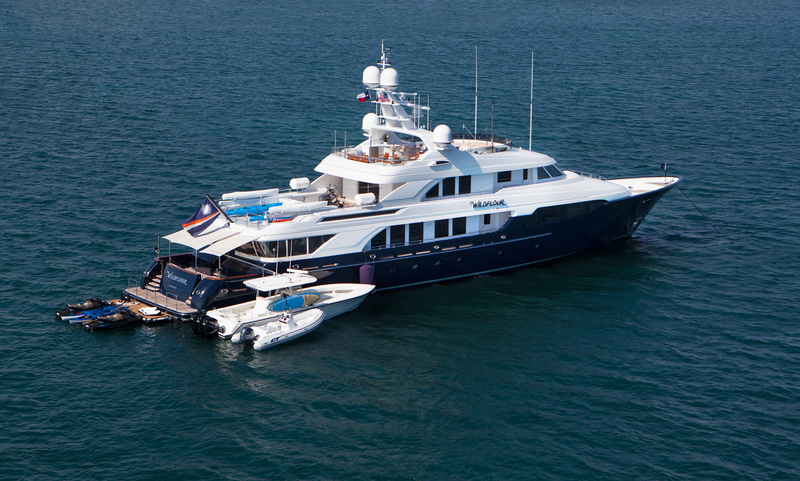 Luxury yacht PALADIN offers accommodation for up to 12 guests in 5 elegant cabins. 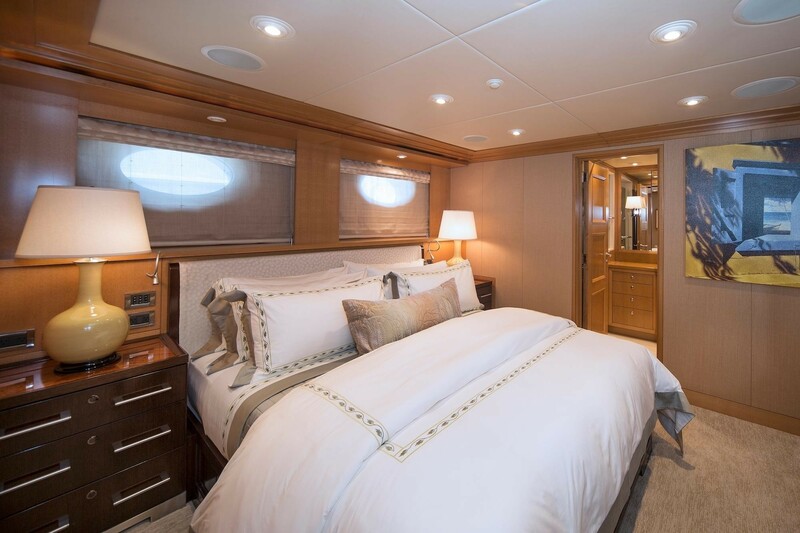 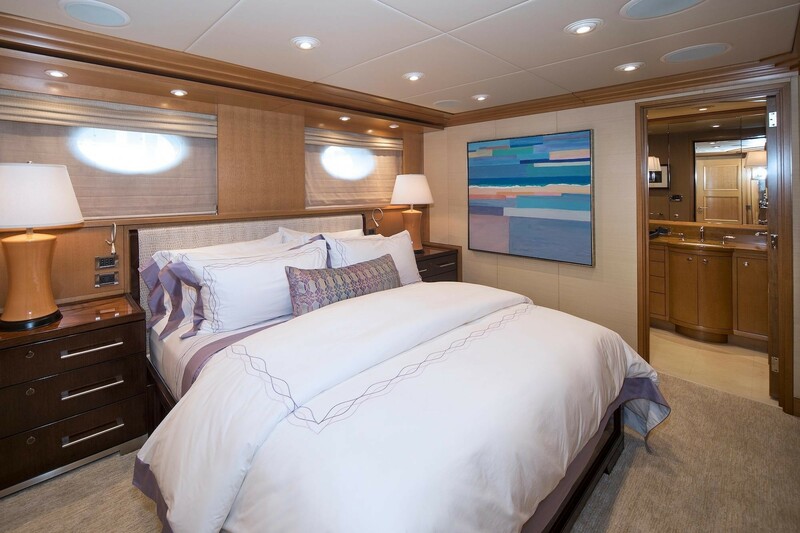 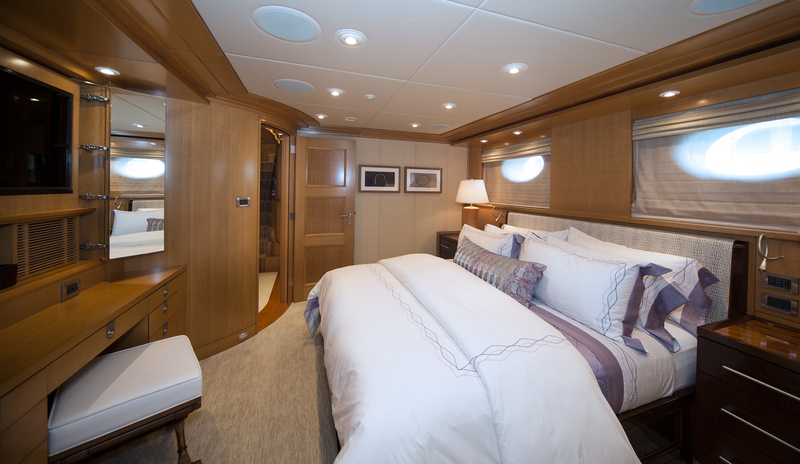 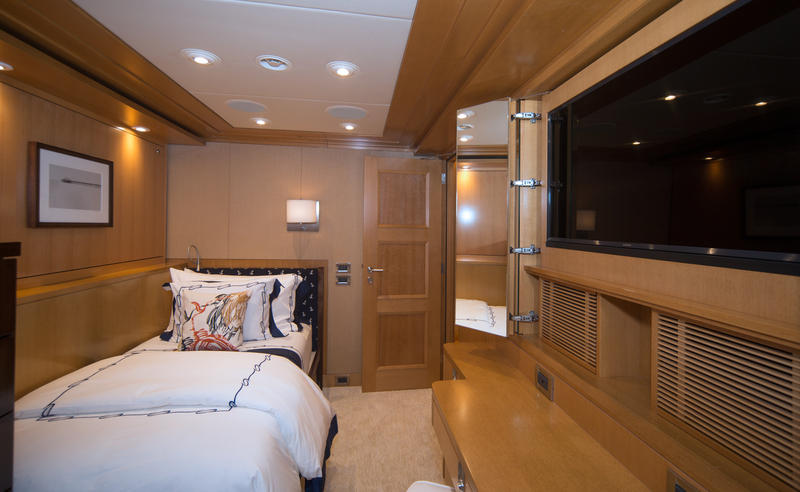 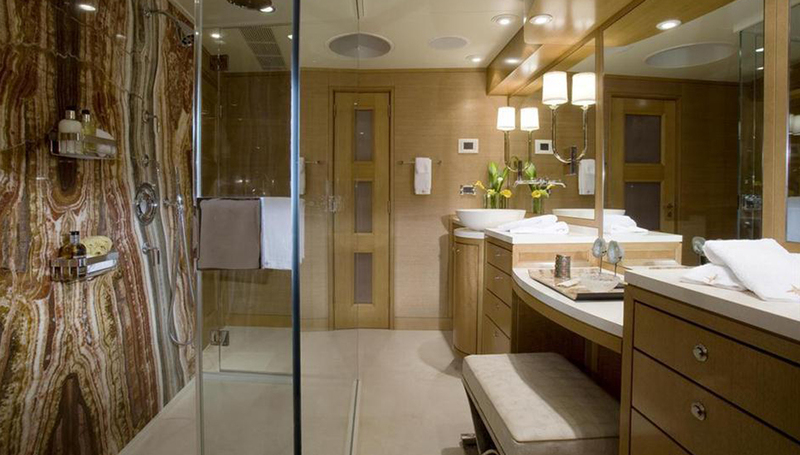 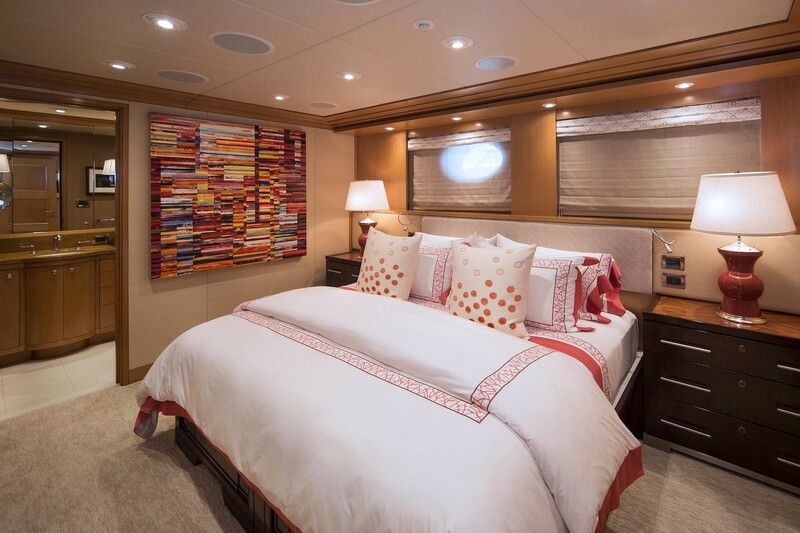 The master cabin is on the main deck forward and full beam of the yacht with a king size center lined bed, sofa, vanity and deluxe marble en-suite facilities. 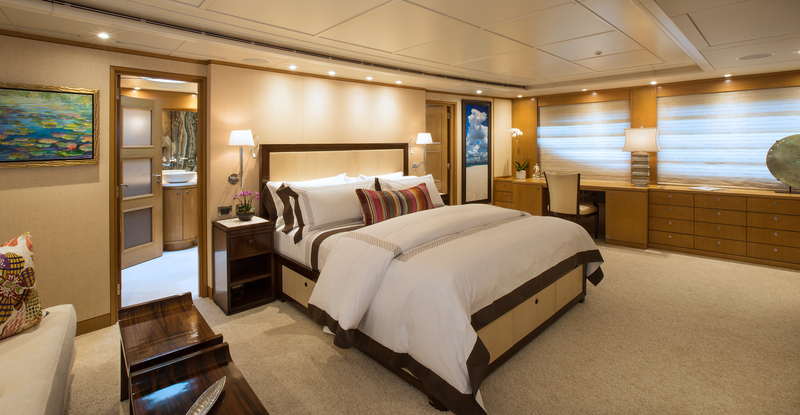 A further 4 cabins are on the lower deck. 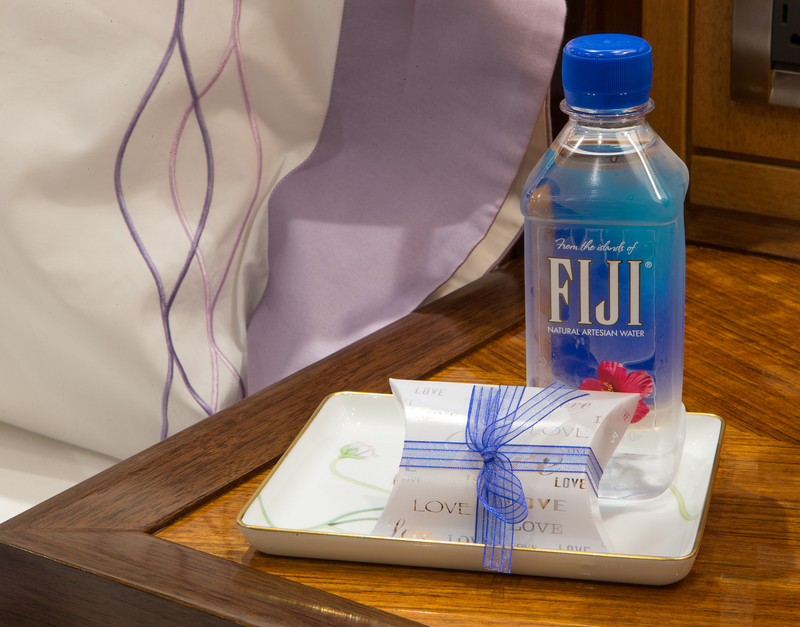 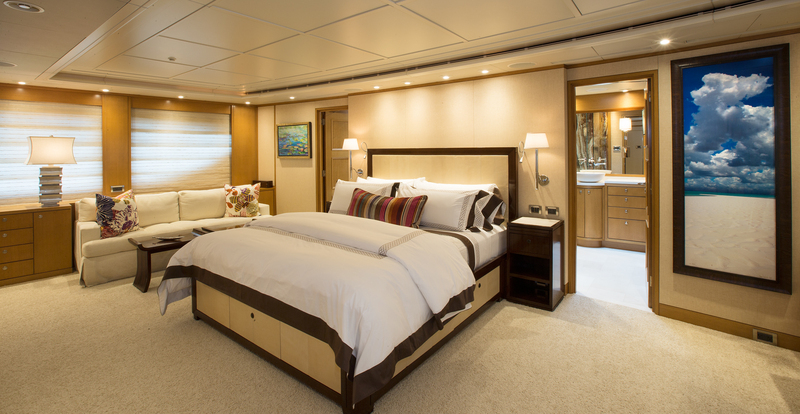 Two double cabins feature king size beds, vanities and en-suite facilities. 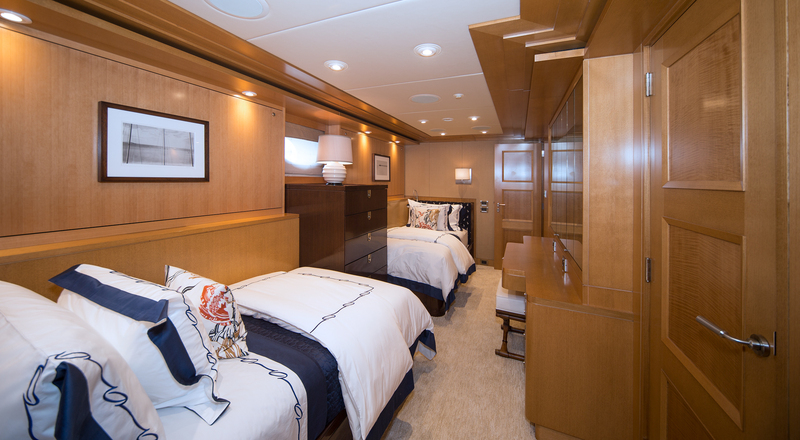 Two twin cabins offer single beds, (one with a 3rd single), vanities and en-suite facilities. 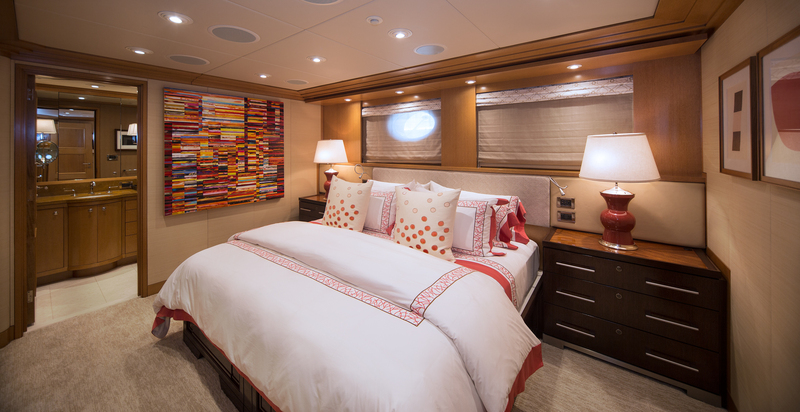 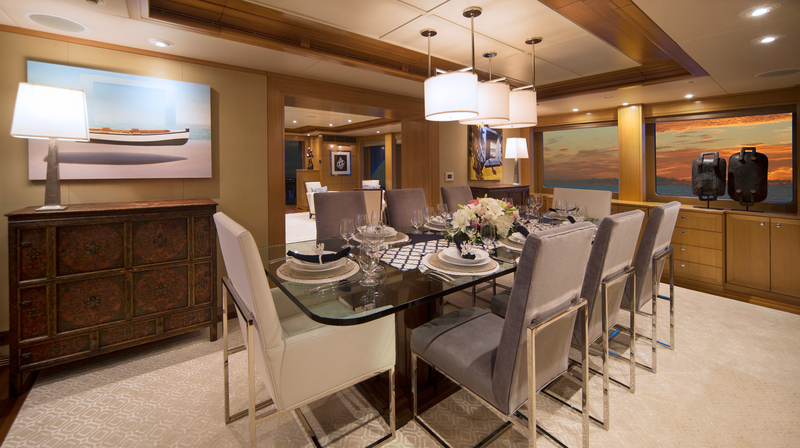 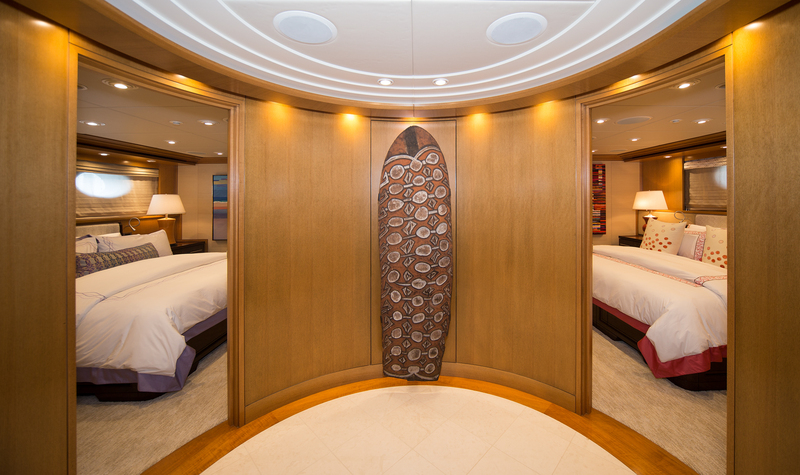 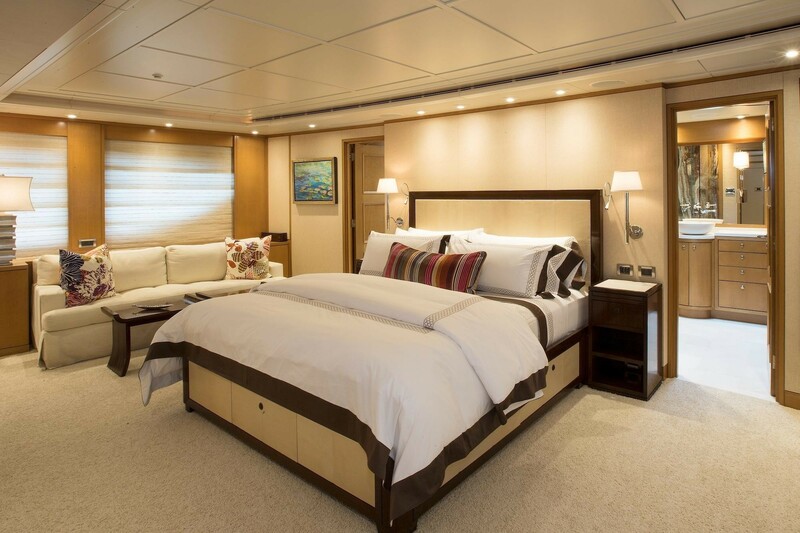 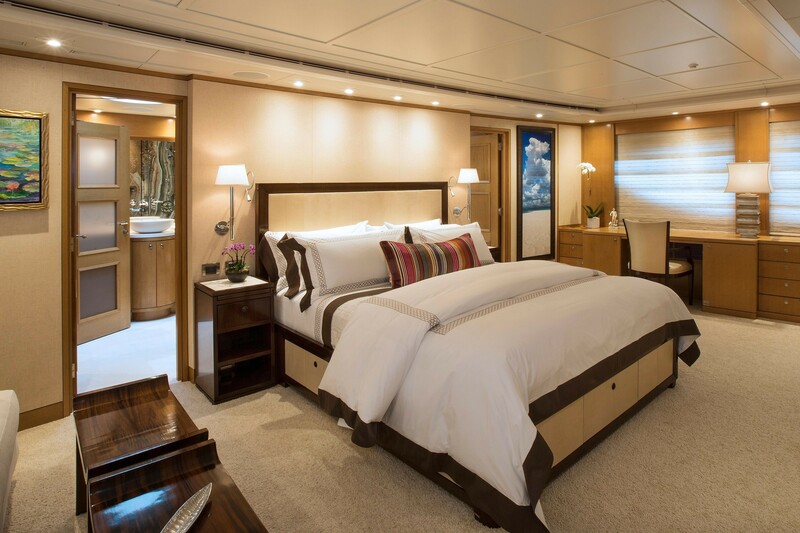 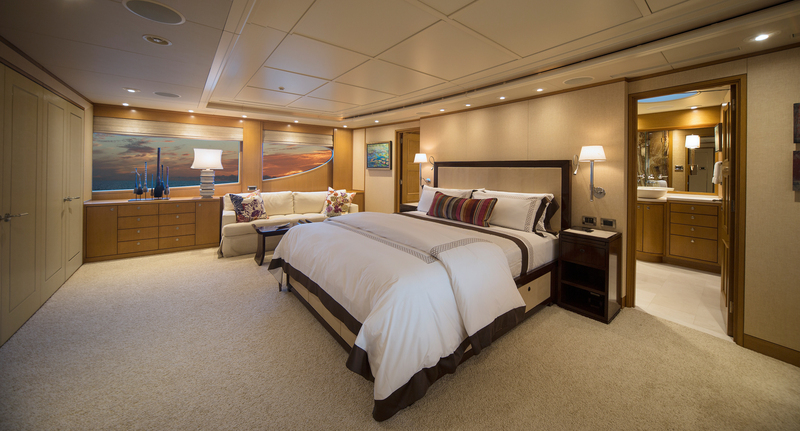 All 5 cabins offer a tasteful neutral décor, in a modern yet contemporary ambiance. 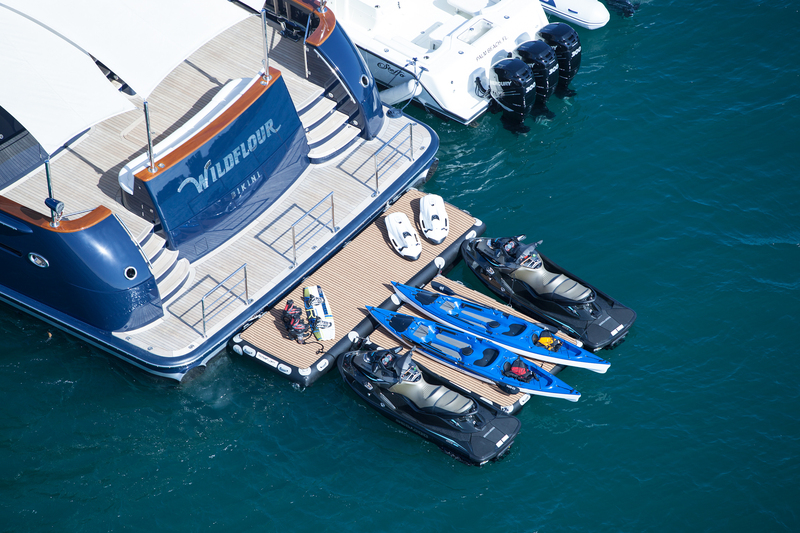 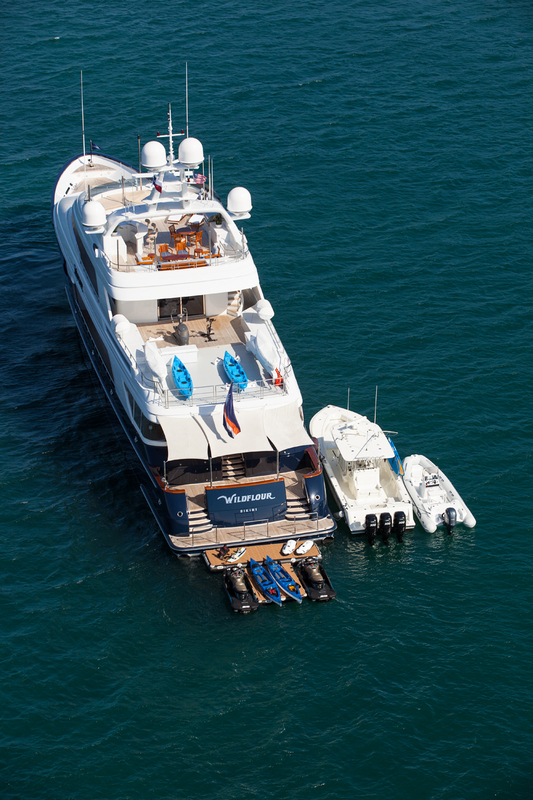 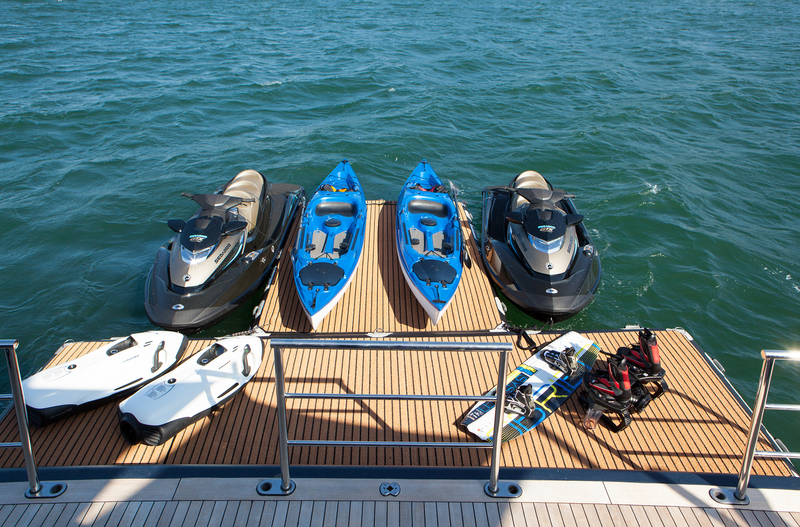 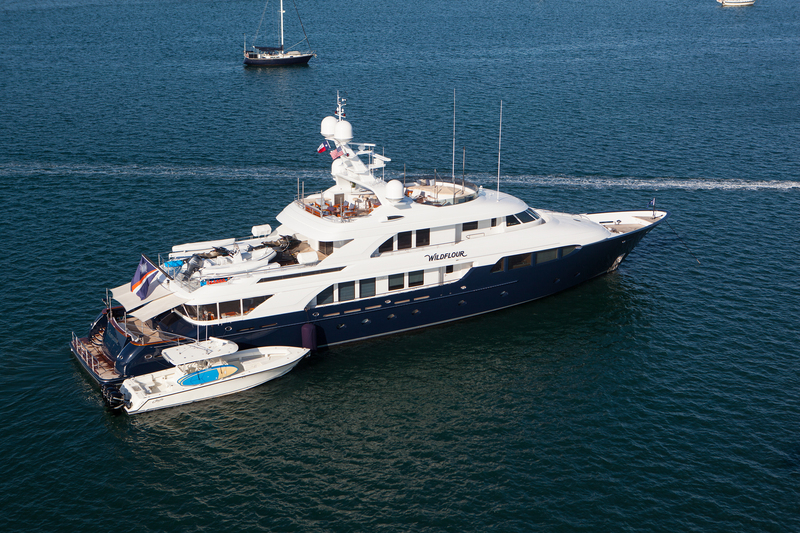 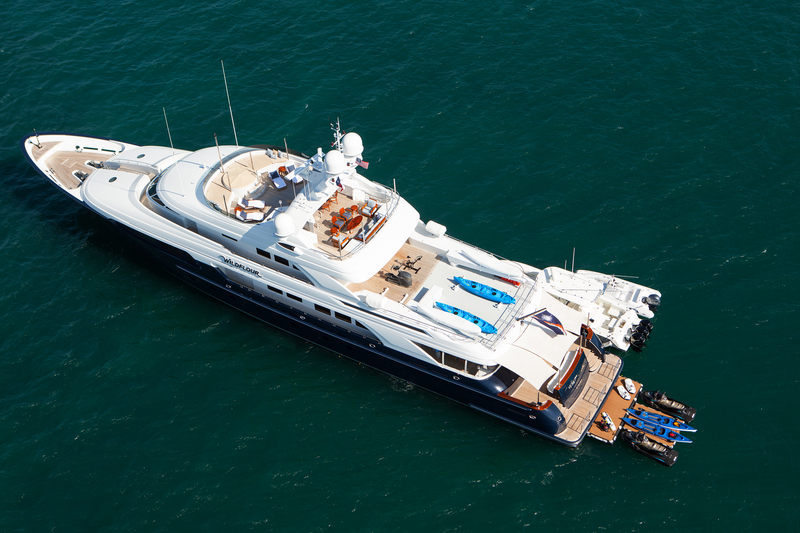 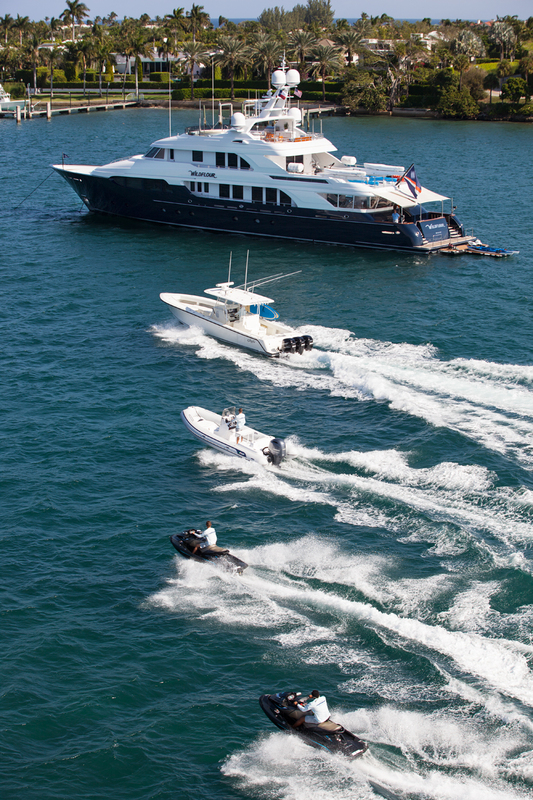 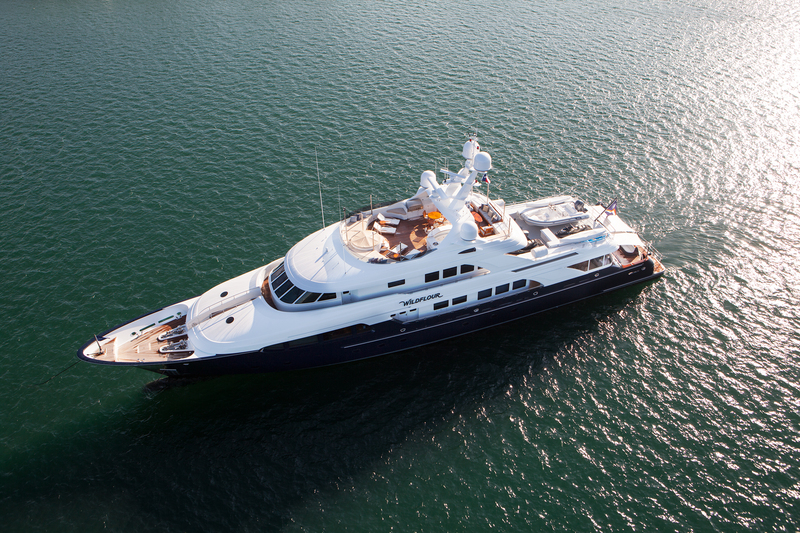 M/Y PALADIN has a range of Tenders + toys onboard.